What Does a PA Do for DOC and for You? A physician assistant, PA, is a nationally certified and state-licensed medical professional. PAs work in all areas of medicine, including primary care, family medicine, emergency medicine, psychiatry, and orthopedics. PAs practice medicine on the DOC orthopedic healthcare teams. A PA must graduate from an accredited PA program and take the Physician Assistant National Certifying Exam (PANCE) administered by the National Commission on Certification of Physician Assistants (NCCPA). When the student passes the PANCE exam, he or she is a Physician Assistant-Certified (PA-C). All states require PAs to be licensed. To keep their certification, PAs must complete 100 hours of continuing education every two years. The recertification exam is required every ten years. 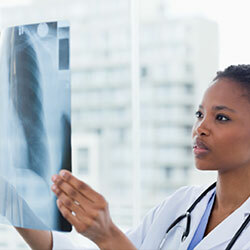 The work of PAs depends in large part on their specialty or the type of medical practice. A PA working in surgery may close incisions and provide care before, during and after surgery. PAs collaborate with the DOC surgeons as needed and as required by law. PA employment is projected to grow 30% from now to 2024, faster than the average growth for all other occupations. As demand for health services increases, PAs are needed to provide patient care. The wage and work advantages as a DOC PA include average salaries in the 90th percentile and flexible hours. DOC offers PRN PAs hourly rates with weekend work opportunities available. DOC PAs provide orthopedic healthcare with no hospital rounds and no call schedule. They are an influential part of the DOC healthcare team. Some PAs pursue additional education in a specialty. To enter a special program, a PA must be a graduate of an accredited program and certified by the NCCPA. Physician Assistants in Orthopaedic Surgery (PAOS) is a specialty organization of the American Academy of Physician Assistants (AAPA) for PAs who practice in orthopedics. PAOS is dedicated to providing quality educational programs to advance knowledge of musculoskeletal healthcare. DOC’s team includes PAs with the PAOS specialty education as well as team members with the Certificate of Added Qualifications (CAQ) in orthopedics. To apply for employment as a PA at DOC, visit the DOC Careers page.